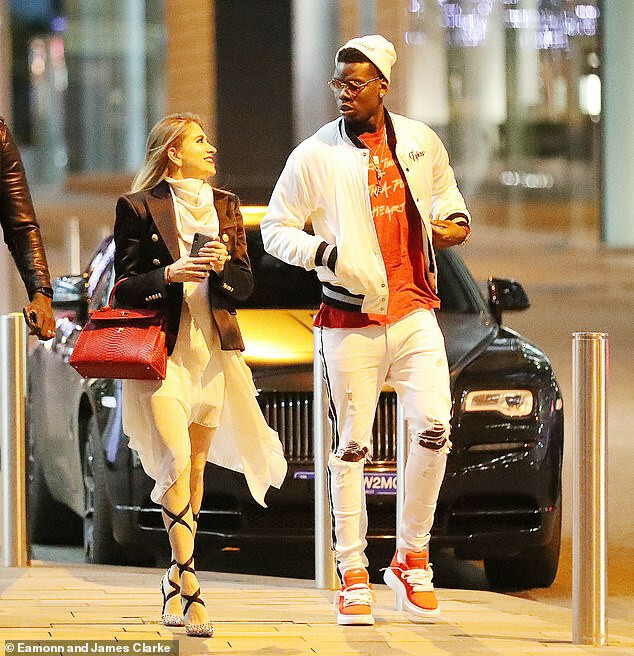 Paul Pogba and his girlfriend Maria Salaues dined at The Ivy restaurant last night after the couple became parents for the first time. Old Trafford legend Bryan Robson told Sportsmail this week: 'When I saw Paul last week in Dubai with the United squad, I had a little chat and congratulated him on the birth of his baby. The couple smiled as they walked into the plush central Manchester restaurant closely watched by their minder. Salaues carried a very conspicuous baby bump in recent appearances to watch Pogba play for Manchester United at Old Trafford before the New Year. But even though Pogba is prolific on social media, he has yet to make any kind of announcement of the birth of his child.